I am encouraged that some people are seriously looking at the 6000+ pages of music I have made public (see the page link at the top of the page). There is a long (for me) series of comments on this post from July that are interesting to me because they outline how we gradually learn what is implicit in a text and what is not. To begin with, I cannot fix the perpetual substitution of Adonai or Elohim for the tetragrammeton, YHWH, the personal name of the God of Israel. I can guess, and that is what I do when I translate YHWH as Yahweh, as the Jerusalem Bible did in the 1960's. This gloss has a nice characteristic as a sung gloss. It consists of vowels only. Pronounce it as ee-a-oo-ei. It fits over any number of notes and could be in Italian pure vowels (though don't ask me why I picked Italian just now) up to 4 syllables. Syllable counting here yields some benefit. If the accents and traditional transcriptions tell us about syllables in Hebrew, then the notes we have learned using the deciphering key of Suzanne Haïk-Vantoura tell us how many syllables Yahweh has - and that is exactly two. And we know that Ad-o-nai has three. So there is an immediate insight as to how to distinguish Adonai from Hashem without my transcription having to tell the difference. So in my texts the two notes with ado and nai under them are always the tetragrammeton and any notes with a- do- nai under them are always the word for lord, master, etc. Very occasionally when adonai YHWH are used together, I substitute ha-shem for the two syllables of the tetragrammeton so again it is easy to tell from the transcribed music that the perpetual qere is being observed in its rarer form. Note this very clear article on the history of the Name here. I see there is a new website devoted to the promises made by the new Liberal government of Canada. What a great idea for sharing and tracking corporate memory and responsibility. If we don't remember the promises and come to understand and take responsibility for their outcomes, we don't deserve to know if there is a promise to be kept. Here's a few thoughts that this list brings to my mind. Access to information: if one ever might suspect double-speak, it is in the name 'the freedom of information' act. One wonders who is being protected sometimes. We have also had along with these 'acts' a difficult time implementing useful web sites to make sure they are serviced. Knowing for instance 'who gets' and 'how much' in government contracts is a laborious process working through public accounts. What is really spent on - a system implementation like the long-gun registry? Who is really getting the funding through subcontracting or not. Elections: I am not sure we understand alternative voting systems and their own failures. For instance, in a multi-candidate ballot, do you weaken your first choice by also choosing a second? There is a need for education here as well as action. I mused on whether other parties might be made present in his small to-be-announced cabinet even now. Wouldn't that be different! The suppression of Elections Canada (another double-think act - the 'fair elections' act) was certainly an issue for the past election. But that was just part of the muzzling from the PMO of the independence of many sections of legitimate government in the past 10 years. I am greatly distressed that those who are Canadians living outside of Canada cannot vote. So many of these have lived their lives outside Canada for the sake of Canadians. Parliament: Omnibus bills are the biggest problem here. They should never have been allowed. Another big problem is the televised stupidity of good questions and non-answers. This is not entertainment. Science: I'll be looking for the un-muzzling of scientists even on uncertain items. Senate: Here's the nub of the constitutional problem. NDP did not get my vote because they have no solution to the Senate. The rule of a body of unelected individuals is certainly problematic. But we have it and it should be made to work without the partisan opinions. Every bill needs second thought. But are there sufficient thinkers in Canada to do such a job? Clearly, there have been party hacks appointed. And sober is not a word I would associate with them - rather over-privileged and over-indulgent. Service quality: Now here's where some decent software is needed. Particularly a framework that can allow quick adjustments. I think I would group the Stats Can promises along with this general area. The long-form census is important for stats. The prior regime had an aversion to long things. Women and youth: No mention on the site of the First Nations issues here. Law and order were touted by the prior regime, but success with individual abuses of power seems to have been moot. There are a few other things I think are missing from the site - for instance the prior regime's balancing the budget by reducing voted services. Every year the estimates are voted on and approved by parliament. Then from these, departmental budgets and allocations are determined. From these, departments are supposed to hire and deliver the services required within budget. Not spending your allocated budget is equivalent to not doing your job as mandated by the people of Canada through parliament. Clearly there were abuses to this but somewhat mitigated by moving Canada to a GAAP form of accounting in the late 1990's to the early 2000's. But under-spending a mandate is still an error in judgment somewhere along the allocation chain. I suspect that the prior regime did this by fiat in the past fiscal year - but it is only a suspicion. The problem will equally arise in a culture of fear and centralized control. Enough said. You might wonder if it is the novice religious reader of Hebrew who writes posts like this. It is. And the connection? The Old Testament is basically all about human governance. Too much indulgence, too many horses, and too much gold. That was the indictment of Solomon (pace Psalm 72). And all these kings, even David, were guilty of doing evil in the eyes of Yahweh. We can do better, even if I distrust the use of that word. At some point one has to get serious about why the Bible is important and how to read it without getting one's feet trapped in the quicksand. For there is no doubt there is quicksand here of a thousand sorts. Why bother then? It is first of all a time-dependent quicksand. We have some notion of time in the 21st century, each of us, and it is not something we express well or thoughtfully. We do not live in the time in which these poems were written, if indeed time is ultimately so important. It is also a political quicksand. Certainly this is true of Psalm 135 which we must somehow set in its place. If you have no table, it is hard to set it. If your table is lopsided, the settings will fall off. If we have no floor, the table will disappear when we place something on it in the gravity of the moment. Is this poem purely nationalistic and self-serving? First read it with me - just the first 8 verses because already this post will be too long. I write now for the trolls and the devoted - for both. Can I do it? Skipping the Hebrew then, here is my rendering of the first 8 verses. Hallelu Yah. Praise the name of Yahweh. Hallelu Yah, for Yahweh is good. Sing a psalm to his name for pleasure. Israel for his own treasure trove. and our Lord more than all gods. O - only 8 verses, but we must set it in its poetic context. I want to skip ahead already and hold the rest of the psalm with this - its invitation to everyone even after the defeat of local kingdoms, its repudiation of idolatry in its own amusing way, imitating Psalm 115 - but more importantly, what precedes this psalm in the Psalter. We are more than half way through the 5th book of the Psalter. Book 3 has detailed the failure of the monarchy of Israel and Judah. We are not a political Israel. Quicksand! But now to this psalm - Israel is beloved, chosen, a treasure trove to Yahweh. Get that. And hear a little Job from chapter 14 as I posted yesterday. You would call and I, I would answer you. For the work of your hands, you would ache. Does Yahweh God ache for Israel - you bet right. Relationships are fractured in Jerusalem like nowhere else in the world. How long will it hold together using vinegar and brown paper (or walls and razor wire)? This Psalm also occurs following the 15 Psalms of ascent, traditionally thought to have been sung as a sequence, one on each of the temple steps. This Psalm with Psalm 136 celebrates the arrival in the courts of Yahweh. (These 2 psalms are practically identical in length and share a host of keywords - 20 of them in the same sequence in the two psalms). Psalm 135 v2 showing multiple changes in note on the first syllable, so connecting this verse to the prior verse. All that Yahweh delighted in, he did. Yahweh has a lot to answer for. When will we demand the answer and how will we respond to the requirement to fix the mess we have made with God's creation (the mist) and redemption (the slaying of the firstborn) and in all time, the treasury of spirit. What an immense cost. What a God of terror and fear. Who would want to be his treasure trove? What sort of spirit are we from? Political? You bet - get on with the salvaging of refugees, stop the violence towards others, find a containment of radicalization, it's up to us because God is depending on us. There is no magical Deus ex Machina. There is our responsibility with the blessing of the Invisible (without which nothing is possible - depend on it). We are those who stand in the courts of Yahweh. There can be no triumphalism. We are a charade of blackness (Psalm 120), but held in hope (Psalm 121), with responsibility for the pomegranate in razor wire that is the partnered Jerusalem (Psalm 122). There is enough contempt to go around (123), our help is in a name - a name that cares for the dispossessed (124), good receives good (125), tears in the night but joy in the morning (126), joy in children (127, 128), trouble a plenty (129), watch and wait (130), there are wonders beyond us (131), there is a rest of God (132), live in unity with your kin (133), who is it makes heaven and earth? (121, 134). But trust, waiting, and watching are not a recipe for passivity. Our action, our part will be called out of us - if we have ears. Mind you our deafness may have been caused by the deafness of the market that we worship. The people are called together to share in the work and character of this God. In effect, the psalms are saying - he is not terrible but a God who cares for the dispossessed (Psalm 146 and many others). It is true that there is this character of caring in the body of the people. It is encouraging that the refugees are being processed. Obviously there is great difficulty, and the source of power and strength for us to do what is right is not obvious. We could easily retreat, easily retrench, turn back to our own self-protection (and sometimes this is needed and called for). There is much quicksand. It is important to lay a strong net over it so that we don't get distracted. This is the third chapter in a row for Job and it captures the essence of his complaint (not for the last time). There is a little brightness in the chapter, but hard to read in the translations. Mitchell captures the delight of a father with his children (verses 15-17) and he rewrites and paraphrases with some delight. But REB stops the positiveness at verse 15 and reverts to the negative. There are many questions and my own reading is far from perspicuous. חֻקָּ֥יו עָ֝שִׂ֗יתָ וְלֹ֣א יַעֲבֽוֹר 5 f If decided are its days, a record of its months is with you. וַיִּגְוַ֖ע אָדָ֣ם וְאַיּֽוֹ 10 But one who is valiant dies and he is vanquished. וְלֹֽא־יֵ֝עֹ֗רוּ מִשְּׁנָתָֽם 12 So a person lies down and does not arise. עַד־בּ֝֗וֹא חֲלִיפָתִֽי 14 If one who is valiant dies will he live? לְֽמַעֲשֵׂ֖ה יָדֶ֣יךָ תִכְסֹֽף 15 g You would call and I, I would answer you. מְשַׁנֶּ֥ה פָ֝נָ֗יו וַֽתְּשַׁלְּחֵֽהוּ 20 You overcome in perpetuity and he walks. Isaiah 17 and Psalm 35 have some common words. One is dependent on the other I suspect. I noted this while pursuing some unknowns... I see that the unknowns will disappear several at a time without any deliberate pursuit of them. This passage may also have contributed to the elaboration of Psalm 1 in the Septuagint. So just how do you go about writing the Hebrew Bible in English? What? Hasn't that already been done? I have wondered if I really should continue this project. But it's on its way and it's measurable. That's a key. You have not only to actually read and write but you have to control the project. And project control is not insignificant. How do I measure where I am and what I've done so I know to forge ahead rather than backwards? I began with the Psalms. They are poetry - short lines of densely packed ideas in parallels. Most people, I think, begin with prose and many begin at the beginning. I think I would have gotten stuck doing that. I am all over the place, translating in all books concurrently and playing with conceptual categories while I do it. I go to long books and when I get tired, I go to a short one. I work with the glosses and when I get tired I check out some categorization and classification of the roots of the words or I imagine how to extend my automated translation algorithm. That gets the computer to read ahead and make its best guesses at gloss, root, and semantic domain based on the words in sequence that I have already done. I'm working towards a very close translation of the Hebrew so that in principle, one could underlay the English to the (possibly) ancient music of the accents. I want the glosses to be concordant as far as possible. That means for me a Hebrew root may map to several different English glosses, but an English root (and related glosses) should map back to only one Hebrew root. This is of course impossible to some extent. But it does have some surprising results that change the way I read the text. Obviously word by word is not English but it does represent the mechanics of what I have done. One instance of years is in this case not glossed as shown by the double dash --. Sometimes I write the middle first and then work out the word by word, and sometimes the other way round. It's the presence of the word by word that allows me to test concordance. A table showing where this stem (root) is used in the other books. Can be filtered by book. A table in which I can search in English for other instances of a gloss. And a tree from which I can select my semantic domain and subdomain. Stem, domain and subdomain will gradually evolve as I complete more and more of the text. Oh - and there are two strings of characters that are quite revealing: One is the grammatical component - a work in progress, In the case of the selected word וַיִּהְיוּ֙ is VYoYV*b1 Conj., Imp. or 3rd person, the o is where the root (היה) was found with a few mater substitutions. (Not an easy algorithm - the *b1 tells me which final rule in the program decided the structure of the word). The second is the sequence of the accents for the music. e qad,B z-q,C qad,z-q,f g# ^A e This sequence occurs exactly twice in the Bible (2). Buttons allow me to get text from the site of the Westminster Leningrad Codex and there is another that will produce the music with the English overlaid (as shown above). Above the selection you can see 7 additional screens that I have written: those that list the text and its verbal and semantic structures, either 1 chapter at a time or several together or two from any two books. These are the pages that let me report on the blog (via Word) what I have done. As a further control, every record in the tables has a time stamp so I know what has recently changed. I could get much more into control with auditing changes but it is not needed for this application. What strikes me most about the text is how well loved it has been by the Jewish tradition. They too must have had conflict and difference of opinion but the process of copying and maintaining this body of work must have been a serious act of devotion. That alone demands my respect even if the text itself describes a brutal fact that I could not respect or an anecdote that is anything but serious. But that's not quite right - what strikes me most is that I am in dialogue with the tradition and the authors and the text myself. I ask - in what sense does this have authority in me, for me, over me? It was made for me, not me for it, but we live together: it in its silence, unless I read or sing or hear it; and I in the prejudice of my own clothing, depending on how the text shakes me out of it and renews me. 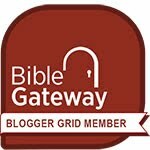 Published on this blog or in my book on the Psalms, there are 221 of 929 chapters or 23.8%. On a verse by verse basis, all 929 chapters have been touched, 17,154 of 23,143 verses have been touched, but when you look at the empty verses as collected, there remain 18,131 to do or 78.3%. On a word basis, 70.6% of the 304,646 words in the database remain undecided though many are drafted with a possibility. At least that's what my numbers tell me today and they are more or less consistent. That means I have probably 3 to 4 years at semi-throttle to complete the task. The 75+ thousand that are unknown are a concern. I could have bought a database probably, but then I would not have had the challenge of attempting to derive root and grammar from the raw data and I would have been accepting someone else's decisions - no deal! So the unknowns will reveal things and the knowns that are also in error will also be revealed in due course.